Yet another one for you… – …STILL CRAZY AFTER ALL THESE YEARS! 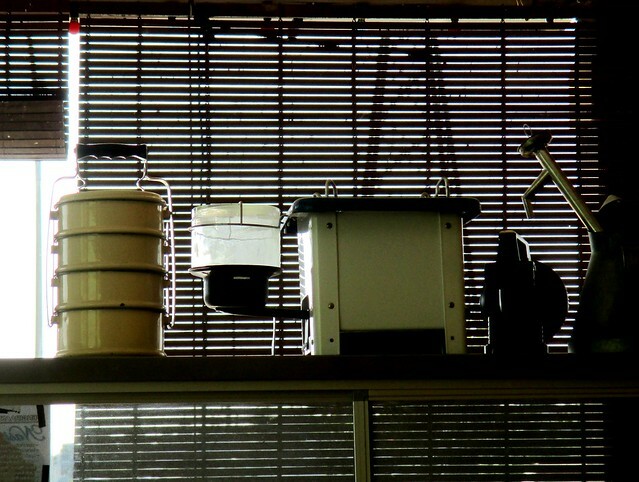 – I used one like that to cook in the late 70’s right through into the early 80’s, those five years when I was teaching in Kanowit and I do remember the pump kind of thing on the right too. 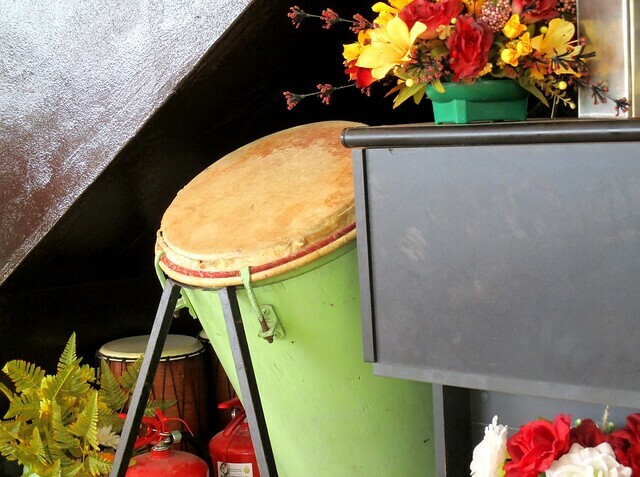 People used that to pump kerosene out of a big tin…and yes, we had a yellow enamel tiffin carrier like that once. 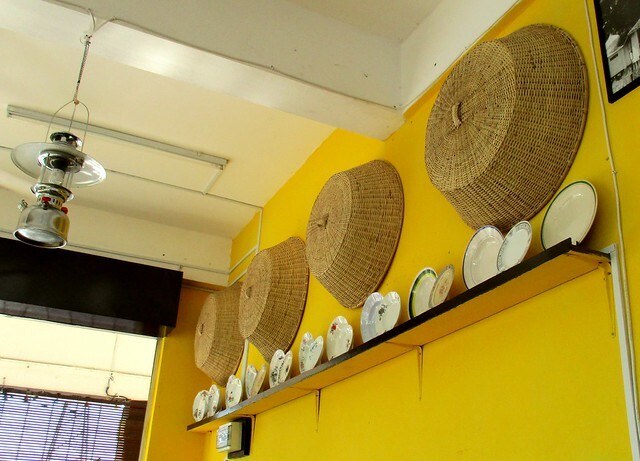 In my younger days, when my mum had something to do or was busy with something, my dad would take it to town in a rattan basket to buy some dishes from this restaurant for us to eat at home that day. It sure was a whole lot more environment-friendly then, those days before plastic and polystyrene. …though and yes, it was very good, crispy and not tough and rubbery – best eaten when hot. – not quite dhal nor curry, probably something in between. …which is always so diluted and has hardly any coffee fragrance. Thankfully, the one I had that day was not sweet which usually is the case, so very sweet too! …just that it was not something I would go out of my way to have. I may drop by again though and try something else – perhaps they may have something else to offer that is a whole lot nicer. 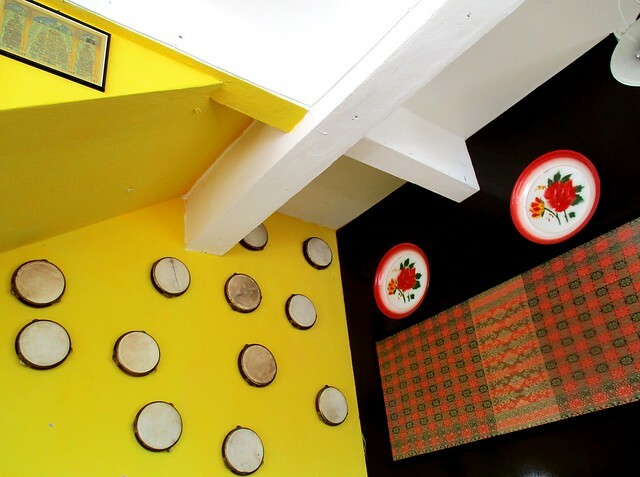 From your photos, can see that they put quite a bit of effort to decorate the place. RM1.40 for one roti canai is more expensive than the usual place I go to for my roti canai fix near where I live. Here it is only RM1 per piece. It’s RM1 here too elsewhere though I may have had one RM1.20, not as expensive as this one. I can understand if it is a little bit more expensive as they do not get as much business in this Chinese-majority town plus things have to be sent over from your side, extra transport charges and all. 40 sen more is a bit too much though or maybe I heard wrongly…or prices have gone up elsewhere too and flour is no longer subsidised since January 1st. I seldom go for roti canai. 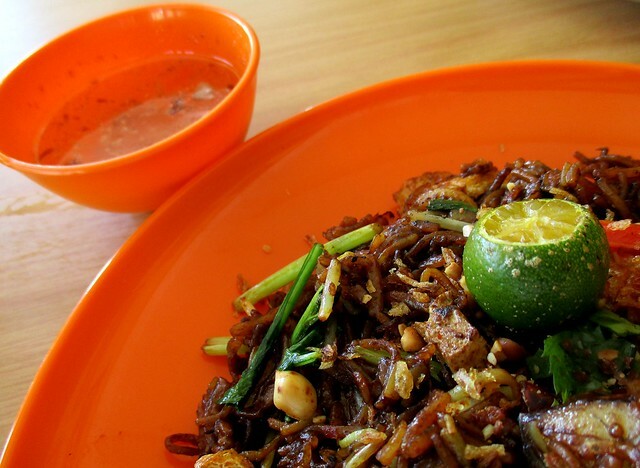 Might as well go up to RM1.50 to round it up – after all, everything is increasing in prices. 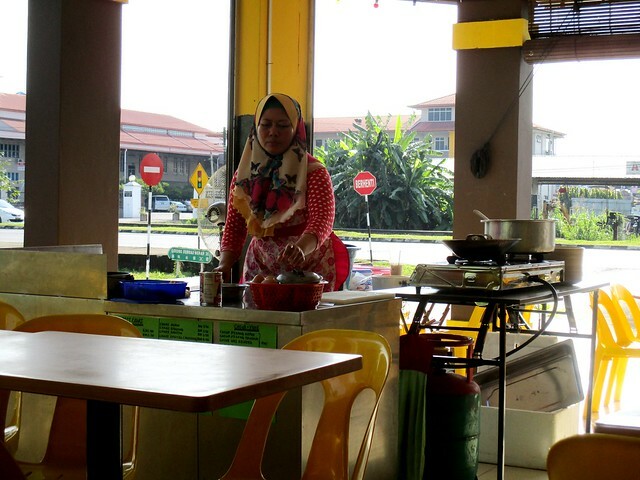 A Malay coffee shop. I love the decor. How creative. Remember the kerosene stove. Hate the smell though. Hahaha. 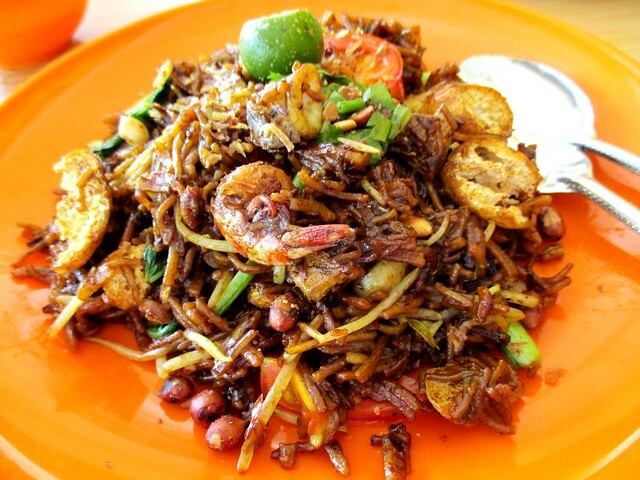 Yummy mee mamak. Actually long time did not have one. What a surprise that they served with some peanuts. Hmmmmm…people in the past had to put up with a lot of things. The pots and pans would be all black, such a chore to scrub them clean. People these days dunno how lucky they are. Yes, the peanuts were an added bonus. Usually in Thai pad thai, they add cashew nuts and they sprinkle crushed peanuts on top…or is it their pineapple fried rice? Nice! This shop had a collection of interesting old time stuff. I could almost remember every thing they have. Mee mamak looks good though my 1st time seeing peanuts in it. No idea how much a piece of roti canai cost as I seldom have it. Could it be due to the increase in flour recently? Weekend is here again, have a great time. I haven’t the slightest idea. 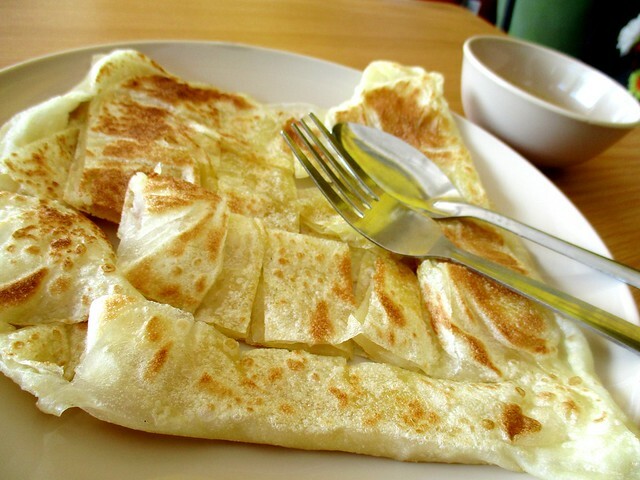 Just like you, I hardly ever go for roti canai – been a while since I have had any so I would not know if the prices have increased. 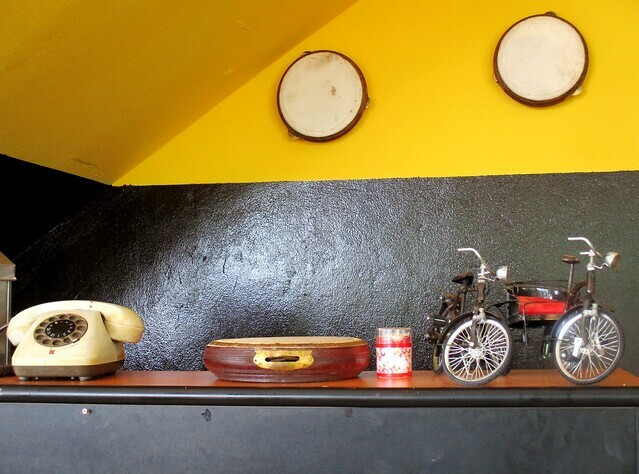 I like the interior, very old school, like you said.. Look at the telephone, tiffin carrier.. 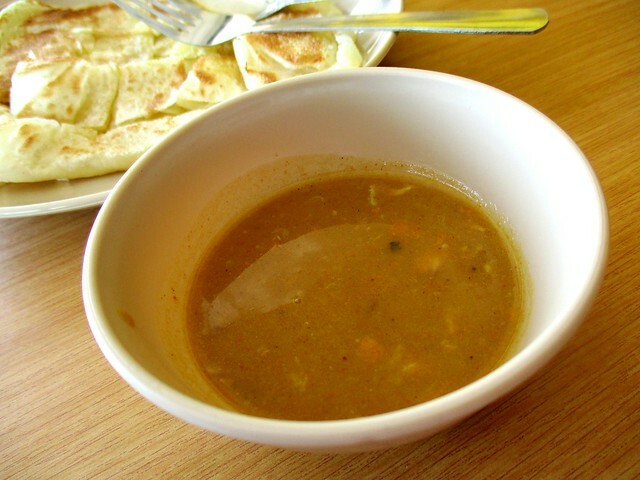 I always ask for both dhall+fish curry gravy if I eat roti.. And yes, your kopi looks very diluted.. 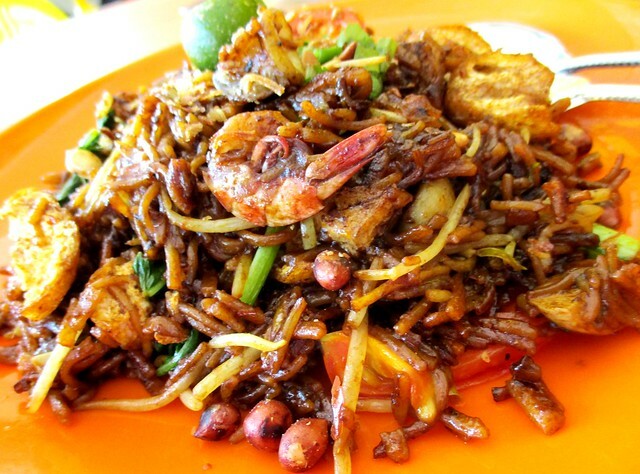 But this is a place where I will drop by again, I bet got nasi lemak and mee siam !! I don’t think there’s mee siam, maybe there’s mee tom yam but I am very sure they have nasi lemak. interesting cafe name. 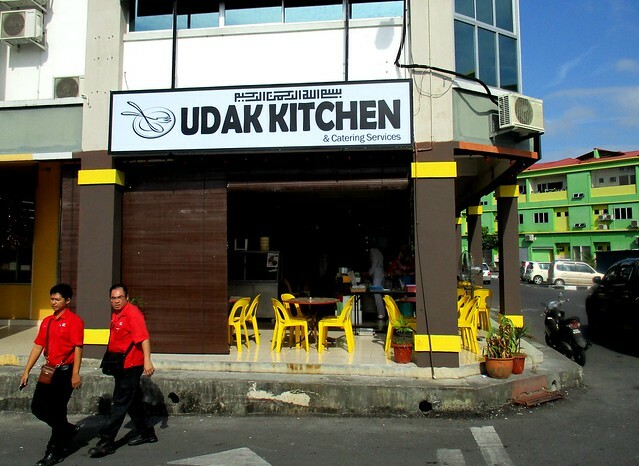 is it short for budak kitchen? If i go, sure have problem ordering, as i can only speak very simple malay..
No worries, they have a menu so you can just point. I am sure they speak English but simple Malay is fine – I get by quite well at the Chinese shops with my simple Mandarin. Google translates Malay word “udak” as “slave”. Maybe that is another word from a local dialect? As long as they don’t charge extra, that is perfectly ok. Must be the peanuts for their nasi lemak. P.S. Your kucing spelling wrong, comment kena await moderation. The yellow colour enamel – we had the “kong” (some kind of big cup), the double steamer…a lot of things, that same colour. New cafes are popping up all over the place here too – I don’t know how they think they’ll all survive. Many do. It’s amazing how they manage, with the economy the way it is. With all those ingredients, I too thought that it was really very very cheap! The signboard is somewhat low on the ground? 🙂 Hope no one trips over…. 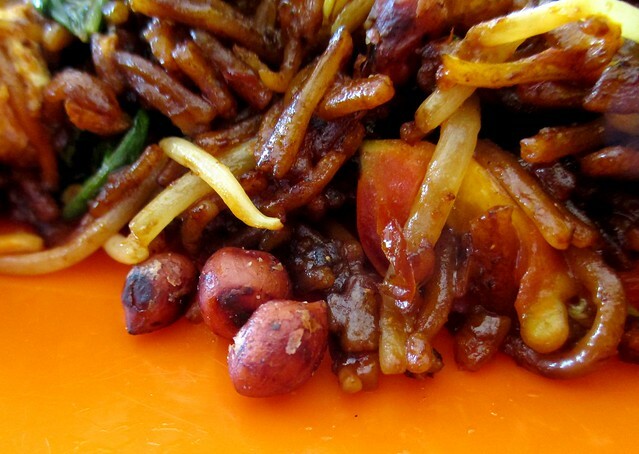 Yes, I would love peanuts in my fried noodles, simply love nuts! Nuts about nuts, eh? 😉 Oh, the road sign! I think it was higher and then they built that cement platform. It’s high enough, will not trip over it…and no one will climb up that high platform to snap a photo of the road sign – only crazy bloggers like me. 😀 😀 😀 Noticed how our road signs has Mandarin characters? Bet you do not have that there. Well, Idris, the owner of this cafe is my ex-schoolmate in SRK No. 3. His brother also have a stall at Bandong Walk. 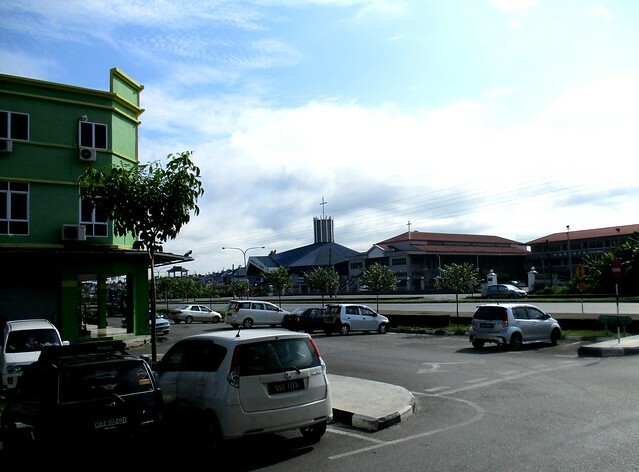 Hope to visit their shops when I come to Sibu next time. Oh? Small world!!! I wonder which one the brother is – the stall, not the shop? 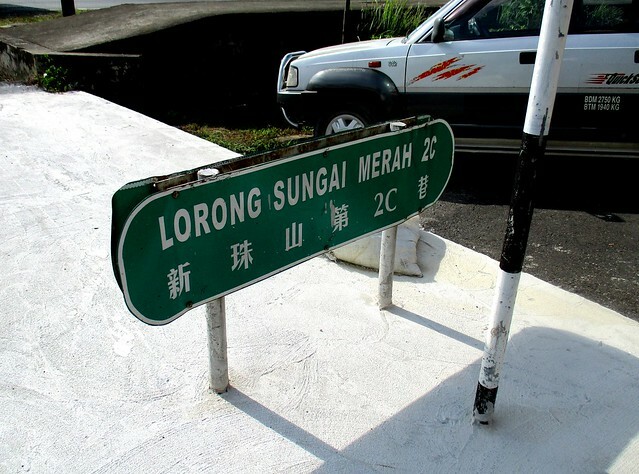 The senduk menari? So the name is in Sarawak Malay, eh? Thanks for the explanation – now I know. Wow!!! I did not know there are so many – I guess in Chinese, we have as well but simpler – the eldest uncle/auntie and the rest by the number until the youngest but we do have different terms between the paternal and maternal sides. 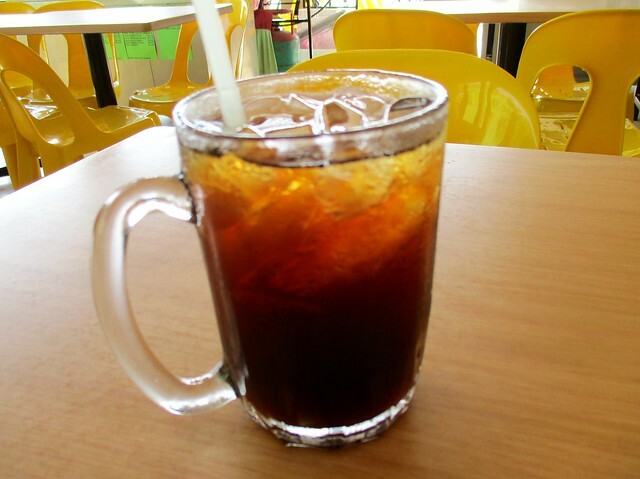 I’ve yet to find out the meaning of the other cafe in the next block – keripan. Pingback: All in a row… – …STILL CRAZY AFTER ALL THESE YEARS! Pingback: Next door… – …STILL CRAZY AFTER ALL THESE YEARS! Pingback: We’re taking over… – …STILL CRAZY AFTER ALL THESE YEARS! Pingback: There’s quite a difference… – …STILL CRAZY AFTER ALL THESE YEARS! Pingback: Spare parts… – …STILL CRAZY AFTER ALL THESE YEARS! Pingback: Don’t wait too long… – …STILL CRAZY AFTER ALL THESE YEARS! Pingback: Not what I had in mind… – …STILL CRAZY AFTER ALL THESE YEARS!